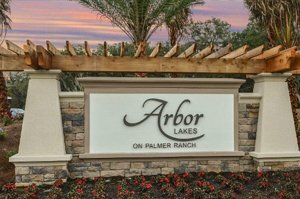 Arbor Lakes is a family-oriented, 254-acre community in Palmer Ranch located just east of Honore Avenue and south of Clark Road. The access road to this property from Honore is Palmer Ranch Parkway. It shares this road corridor with the established neighborhood of Glen Ridge, an exciting destination for affordable Palmer Ranch homes for sale. Taylor Morrison, one of the top U.S. builders with strong presence in the Sarasota–Manatee region, is the Arbor Lakes developer. It broke ground on this property sometime in early 2013, platting it as a community of more than 200 homes. Its Scottsdale, Arizona-based builder specifically designed Arbor Lakes for families seeking to move up to a larger or more upscale residence. Taylor Morrison also ensured that the community has the amenities that would likewise attract retirees and empty-nesters. 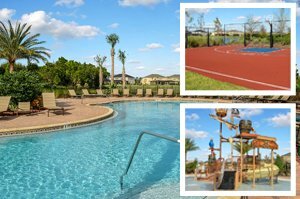 Arbor Lakes features an Amenity Center providing an environment conducive to family fun. Its facilities include a Pirate Playground and Splash Park in addition to a resort-style heated pool and hot tub. The community likewise provides courts for basketball and sand volleyball, as well as a covered pavilion and a large gas-fired pit with comfortable seating area. Arbor Lakes homes for sale offer choices on one-story or two story designs, either new construction or pre-owned. Taylor Morrison offers nine floor plans at Arbor Lakes, with their layouts starting from 2,055 square feet and topping at 4,440 square feet. The smaller, single-story choices feature three to four bedrooms, while the larger two-story options are designed with five to seven bedrooms. As delightful, prospective buyers of Palmer Ranch homes for sale can choose from residences in this community backing up either to lush preserves or one of the property’s placid lakes. Pricing of homes for sale in Arbor Lakes start from the around the mid-$300s and tops at the high $700s. Market activity in this community has been pretty brisk with about two dozen homes sold during the first half of 2017 alone. The vibrant buying mood in this property is largely brought about by the superb home offerings Taylor Morrison has lined up at Arbor Lakes. All of its builds in this community draw their architectural inspiration from this builder’s award-winning home renditions. Epitomes of luxury, their features typically include art niches, tray ceilings, spa-like master baths and chef’s kitchens. Opting for a new construction at Arbor Lakes, moreover, can be a delightful experience of the buyer choosing the design elements that would go into their home choice. Taylor Morrison has a local Design Studio (at 551 North Cattlemen Road) which assists buyers to choose finishes, such as lighting and tile flooring, which would go into their new home. In developing Arbor Lakes, close attention has likewise been given to families with schooling kids. Arrangements have been made with some local schools for schoolchildren living in the community to be picked up and dropped off at the safety of the community’s Amenity Center parking lot. 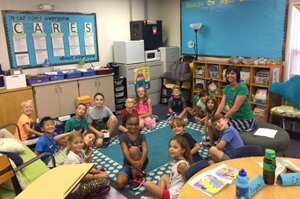 The nearby schools serving Arbor Lakes and other Palmer Ranch neighborhoods include the A-rated Ashton Elementary, Sarasota Middle and Riverview High as well as the Pine View School for Gifted Children. Shopping and dining venues, such as those at the Westfield Sarasota Square, are as easily accessible from Arbor Lakes. This community is also convenient to local parks, golf courses and popular Gulf Coast beaches thus making it one of the hotspots in searches of Palmer Ranch homes for sale.